Fourth- and fifth-grade students watch the H.O.P.E. presentation. Almost 16,000 children in the United States are diagnosed with cancer each year. Treatment is exhausting and long, but fortunately the survival rate for childhood cancers is quite high, approaching 90 percent. Eventually, those children can get back to a normal life. That’s not to say the transition from hospital room back to classroom is easy. That comes with its own set of challenges. Losing hair was a side effect of Emma’s cancer - lymphoblastic leukemia. And in a way, missing nearly half of two school years was a side effect, too. “So Emma missed about, I would say 70 days of fifth grade, in terms of school. And she missed almost 80 days of sixth grade,” Laczko-Kerr said. Emma was worried about missing school. And then, she was worried about going back. Besides catching up on schoolwork, there were all these things she’d missed out on with friends. And there were stares from strangers. As Emma started to get better, she and her mom helped Children’s Cancer Network develop a program to teach students about childhood cancer en masse. That program is called H.O.P.E. It stands for Honoring Our Peers Everyday. And today’s presentations are at Bret R. Tarver Elementary School in Maryvale. Fourth- and fifth-graders watch as three kids in a video talk about having cancer. “People were making fun of me because I had no hair, no eyebrows, no eyelashes. People tell me I was bald and I said, ‘Duh!’,” said a child named Mia. The hourlong presentation gives facts and stories and tips for how to respect peers who have cancer. It was piloted at Emma’s school. “It made such a big difference to her to have her classmates understand a little more about cancer and about treatment,” Laczko-Kerr said. “If they’re armed with those facts, they can dispel myths. They can take away gossiping and teasing that may go on,” said Sharon Wozny, the program specialist at Children’s Cancer Network. “It presents a very scary subject in as entertaining a way as you possibly can,” she said. At one point the presentation gets interactive, and students can sing along to songs. H.O.P.E. 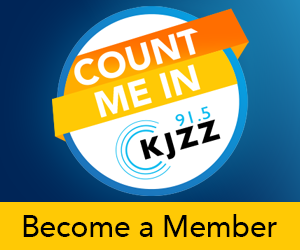 presenters have talked to almost 5,000 Arizona students since starting last year. If there are children with cancer at the school, the presenters don’t point them out. But families or teachers can request that H.O.P.E. come to a school if they feel it would help a certain child there. And they’re trying something else while that second-grader is away from her class. At her desk, in the little plastic chair, sits a big stuffed monkey, named Charlie. Charlie reminds the others they have a classmate who hopes to be back soon, and who wants to be treated like any other kid when she does. “The H.O.P.E. program really reinforced that, ‘I’m still me,'” Laczko-Kerr said. Emma’s cancer is in remission. She’s a full-time eighth-grader now. And next year, there will be a new transition ... high school.